One of the ways in which physicians and other health care professionals commit fraud against the federal government is through accepting or providing illegal payments or gifts to generate certain business. This type of scheme is also known as kickbacks. One of the most common kickback schemes associated with this field is paying a health care professional for referrals to a certain physician, facility, or medical device provider. The person or place that receives the referral is then able to use the new business to grow their claims to a federal health care program and unlawfully increase their reimbursements. In many cases, the services or products they bill for are medically unnecessary or fraudulent in another way. However, not all kickback schemes involve referrals. Payments or gifts intended to generate any health care business, which is then unlawfully invoiced to Medicare or Medicaid for reimbursement, is illegal. If you know of a physician or other health care professional who is paying or accepting kickbacks that lead to false claims against Medicare or Medicaid, contact a San Francisco anti-kickback lawyer from Brod Law Firm today. The information and evidence you have may be enough for you to file a qui tam case under the False Claims Act against those participating in the fraudulent scheme. The federal anti-kickback statute (42 U.S. Code §1320a-7b) prohibits anyone from offering, paying, soliciting, or receiving anything of value to induce or reward referrals or generate business for a federal health care program. This statute applies to individuals on both sides of the transaction – those who are offering or paying kickbacks to others in order to have them generate health care business or referrals and those who are asking for or receiving kickbacks to provide the referrals or means to generate business. Both types of parties unlawfully obtain a financial benefit from the referral or health care scheme, which they otherwise would not have received. The anti-kickback statute is broad. It encompasses referrals made by anyone, not just physicians. It includes any items or services within the health care industry. Anything of value includes money, so-called speaking fees, lavish gifts, tickets to entertainment events, and trips. One of the most significant limitations is that prosecutors must prove intent. The parties accused of paying or receiving an illegal kickback must have done so knowingly and willfully. If an individual is found to have asked for, received, paid for, or offered an illegal kickback, they can be imprisoned for up to five years and fined up to $25,000 per count. The individual also faces civil penalties of treble the amount of the value of the kickback plus an additional $50,000. To learn more about the federal anti-kickback statute, contact an anti-kickback lawyer in San Francisco. An experienced attorney can advise you of whether the activity you have noticed violates federal law, and if so, what you can do about it. Pharmaceutical companies paying physicians “speaking fees” in order to get the physicians to prescribe patients a certain drug, even if that certain drug is not appropriate. Physicians paying patient recruiters to encourage a certain group of people, such as members of the military and their families or homeless individuals, to seek medical care from the physician’s office. An out-patient facility paying physicians rewards or bonuses whenever physicians refer patients to that facility. A hospital limiting which physicians had privileges to work there based on which physicians referred patients to that hospital. A medical device manufacturer paying extra fees to a hospital that only purchased a certain type of device from the manufacturer. If you have witnessed a situation like these or any other type of illegal referrals, call a San Francisco anti-kickback attorney as soon as possible. If you have evidence that someone is involved with illegal kickbacks, whether they are on the paying or receiving end of the scheme, call Brod Law Firm right away. When health care business is generated through kickbacks, the related claims sendt to Medicare, Medicaid, or another federal health care program are considered inherently fraudulent. Any reimbursements the individuals or businesses receive from these fraudulent claims are not lawfully theirs. 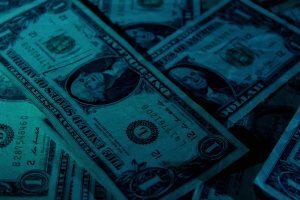 Because of this, you may have the right to file a False Claims Act lawsuit against the kickback scheme participant on behalf of the government. When you file suit for the government, this is known as a qui tam claim. If your qui tam claim is successful and the government receives a financial settlement or court award from the defendant, then you may receive part of the award. Many whistleblowers receive up to 30% of the government’s financial recovery. To discuss whether you have valid and strong evidence of illegal kickbacks and whether you may file a qui tam case under the FCA, contact an anti-kickback attorney in San Francisco. You can reach Brod Law Firm online or at (800) 427-7020.